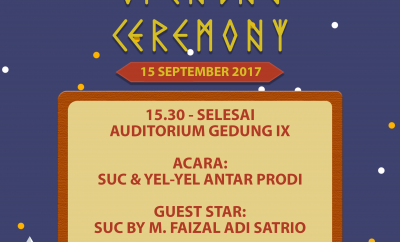 Studi Profesionalisme Akuntan FEB UI proudly presents The 16th ATV. 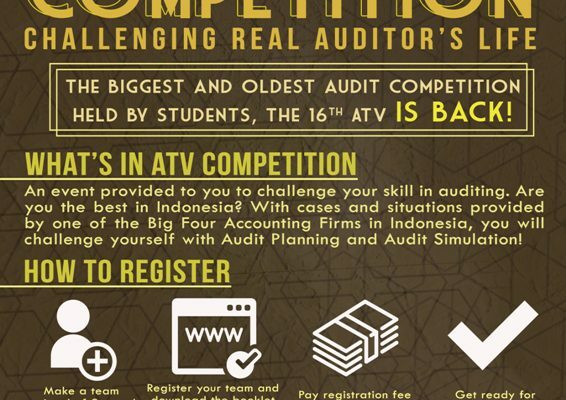 Download the booklet at www.atv-febui.com and register your team now to join the OLDEST and BIGGEST audit event held by students in Indonesia! 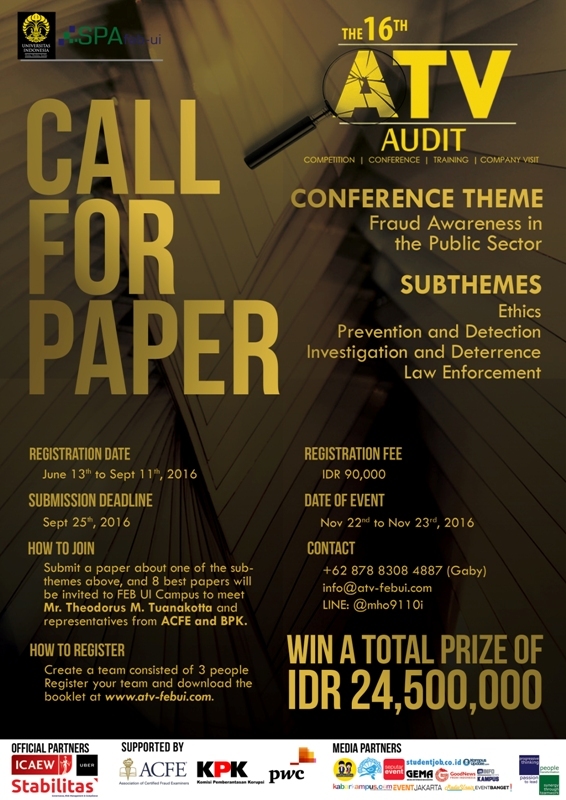 This year, The 16th ATV Conference invites papers that address various aspects and issues confronting current situation of fraud and corruption in Indonesia. 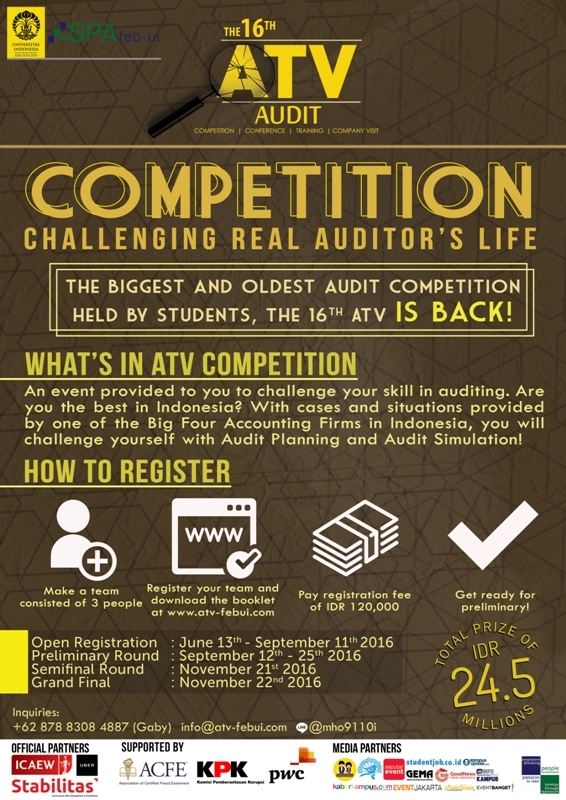 As the biggest audit competition held by students in Indonesia, ATV annually holds an audit competition for students all over Indonesia. This year’s competition aims to develop and challenge students’ academic skills and knowledge about audit.